Norwich City Starlet Due To Make His Switch To The Premier League: Which Club Should He Choose? It is only time before we get to hear about James Maddison bidding goodbye to the Norwich City supporters as Premier League clubs close in on his signature. 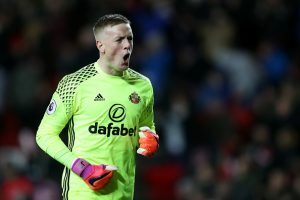 The 21-year-old could be on his way to any of the interested parties as reports claim that Everton are leading the race. If it were up to him, he should strongly consider Liverpool. The Reds currently have a vacant number 10 spot after the January departure of Philippe Coutinho to Barcelona. Even with Mohamed Salah hitting the form of his life, Jurgen Klopp’s men have looked a little bit starved creatively. Maddison could cost them as little as £25m (as opposed to the £146m the received for Coutinho) and be an ideal fit into Klopp’s system. The Englishman is brimming with footballing talent and has the years in front of him to replicate the heroics of his Anfield predecessor. He was nominated for the 2017/18 EFL Championship Player Of The Season award and was also named in the Championship Team Of The Year. His exploits in the Canaries ranks has been astonishing to witness, which also won him the club’s player of the season award. Taking on the number 10 role, Maddison found the back of the net 14 times last term and registered 10 assists in 43 total appearances. He can pick out his teammates with inch-perfect accuracy and formulate the team’s offence singlehandedly. Maddison is adept from dead-ball situations as well. His 90th-minute strike against Rangers during his previous season loan spell with Aberdeen is still festering in our memories. He is prolific on the run and can drift in and out of tight spots with ease, much like Coutinho himself. Granted, he still has ways to go before he can be compared to the Brazilian magician but so far all the stars point towards the right direction. If the England U21 international can hit the ground running at a club like Liverpool, he can leave a massive dent in European football. Jurgen Klopp always promotes young talent into his side and has bolstered the club ranks already with the signing of Fabinho from AS Monaco and Naby Keita from RB Leipzig. With Alex Oxlade-Chamberlain serving a long spell on the sidelines, Maddison could finally complete the Reds midfield trio, behind the likes of Roberto Firmino, Sadio Mane and Mohamed Salah. Read More: Real Madrid Plotting A Move For Liverpool Main Man: Just A Story To Fill The Papers? Klopp certainly could finally have a team to match the talent pool of sides like Manchester City and Manchester United. 3 Alternatives For 25 Y/O Wolves Striker At Stoke City Including This Bournemouth Forward! Arsenal Weighing Up A Summer Move For 23 Y/O Portuguese Midfielder: Right Man For Emery’s Plans? Everton Plotting A Summer Move For 26 Y/O English Defender: Wise Move For The Toffees? Huddersfield Town Linked With A Move For Everton Midfielder: Right Man For Wagner’s Plan? Juventus Ready To Sell Argentine Forward: 3 English Clubs That Should Sign Him Including Everton! Everton Player Ratings In Their Lucky Draw Vs Southampton: Pickford Stars With 8/10! Everton Linked With This Prolific Mexican: Just What They Need At The Moment? Everton Sketch A Move for England U20 Sensation: Astute Addition To The Squad?